One of the goals of the Descendants of Olivewood is to encourage the local community to learn more about the rich history of the cemetery and those who are interred there. We have inspired numerous Eagle Scout projects as well as a Girl Scout Gold Award project. 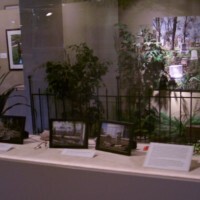 Descendants of Olivewood has also created a traveling museum exhibit about Olivewood’s past, present, and future. Click to learn more about past and current projects, or about Olivewood’s educational opportunities.